Villa Deusa do Mar (Godess of the Sea) is situated at the quiet southwestern side of prominent Albufeira's Cerro Grande (Windmill Hill), just above the new Marina de Albufeira. The apartment is on the 1st Floor and has fantastic sea- and marina-views. The apartment is within walking distance (10-15 minutes) to Albufeira city centre with its beaches, bars and restaurants. The nearest bar, supermarket and restaurant is right at Cerro Grande, only 5 minutes walk. Renting a car is NOT essential! 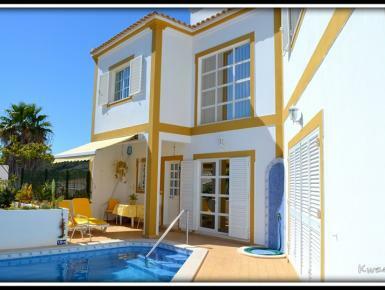 Villa Deusa do Mar is a private villa with only 2 apartments. Each apartment has its own privaten garden in front. Despite of its central location, it is still very quiet.